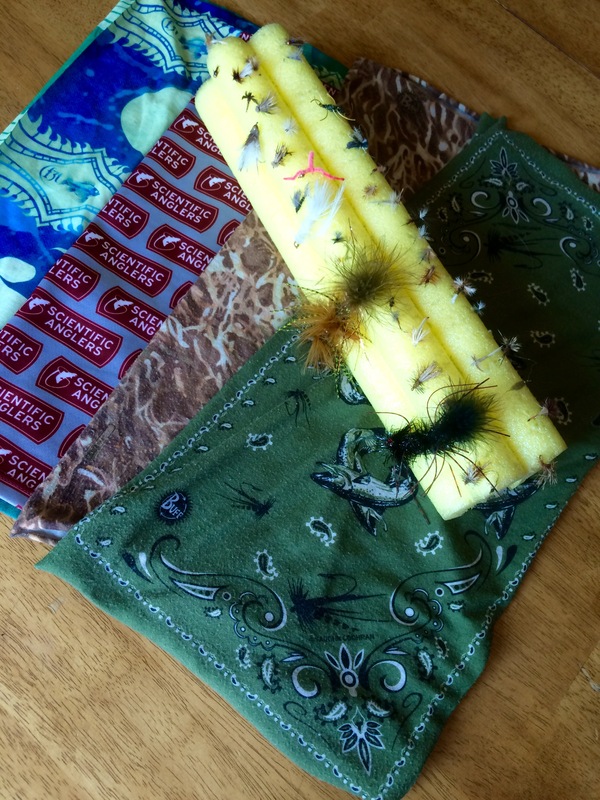 Seems every fly shop has a top 10 gift guide for Father’s Day. So here is my short but sweet list of ideas for good old Dad. 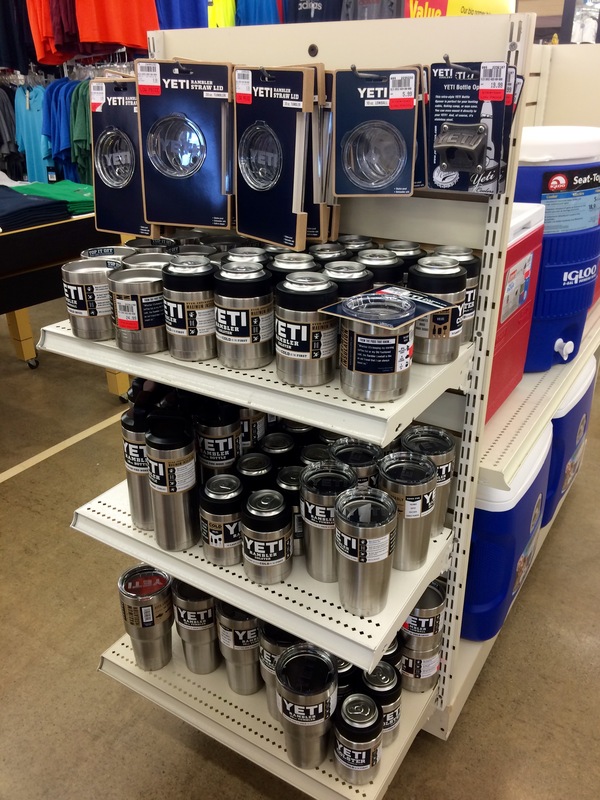 Yeti Rambler Selection at local Dunham’s Sporting Goods. Not all of us can afford a brand-new Simm’s G3 Guide coat or a pair of Costa sunglasses. perhaps a Yeti cooler maybe out of your budget or a Rod Vault, but here are a few items that you can get for your dad. 1. My dad’s birthday is June 1. I’ll be thinking of him, wishing he was still around so that I can enjoy a cuppa coffee with him even though he was never a Java kind of guy. I am sure he would appreciate the technology behind the Yeti Coffee Rambler. Many have asked if they are worth the $30-40, and YES they are. I lost mine on a steelhead trip last winter on the PM and was completely ready to buy another one. Fishing buddy found it under his car seat and brought it to the expo. I was lost without it. Somehow, that plastic lid retains the heat for hours. It keeps my coffee warm for at least eight hours. he would be more impressed though with the tumblers and the coasters that would keep his natural light cold for hours even though it would never last more than 20 minutes. personal Buff collection and homemade fly drying rack for the boat. 3. 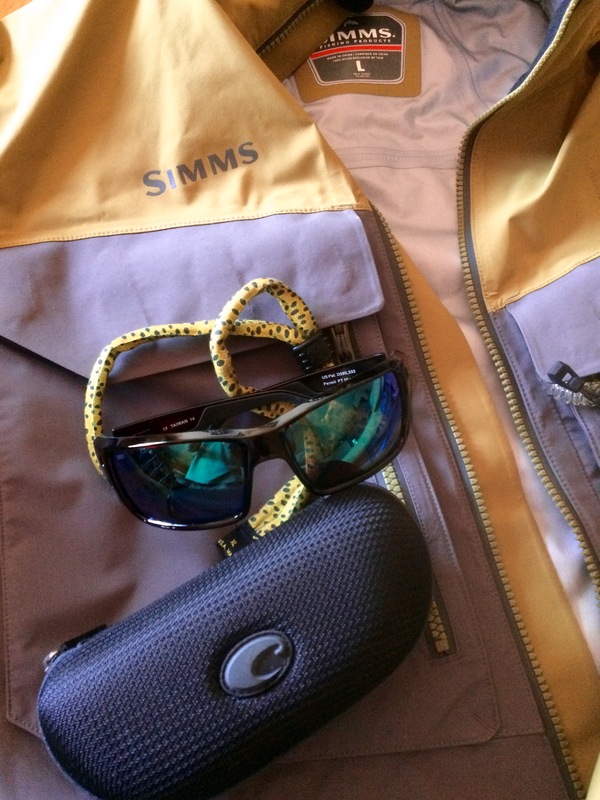 A Simms G3 or guide coat would put you at the top of the will, so checkout their line-up. You can’t go wrong with the quality and detail that goes into each piece. 4. Costa makes my world look Amazing, almost disappoints when I take them off and see with my bare eyes. 5. Dollar Tree Noodle~ If you are on the utmost budget crunch- here is a great little inside tip: buy your father a dollar store noodle, perhaps two. Get the ridges variety, not smooth. Have mom cut out a section and dad has a fly drying rack for the car/boat or tying desk. Then cut in foot long sections. If you have the ability, share it with some time on the water with your father.